Feather weight Bowness cotton fabrics from England at 0.18mm thickness pleasantly contrasted with Michael Kors navy prints. More than 100 similar choices already landed in our studio and made available in shop! 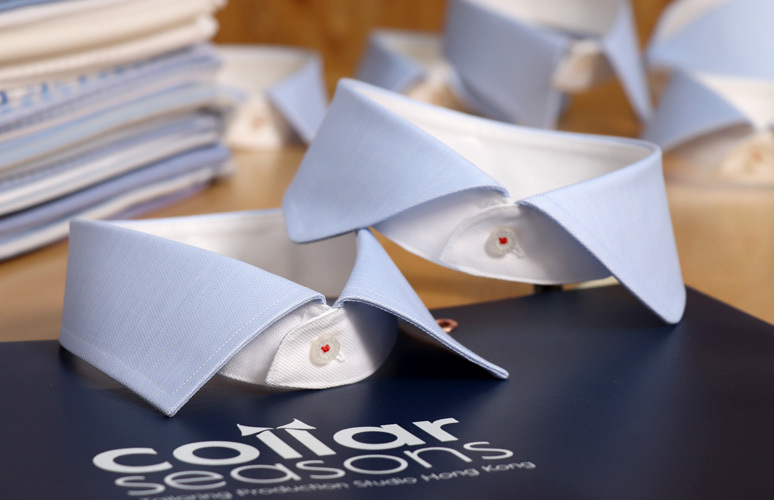 Keep on exploring and developing new collar trends of your favorite is one the intrinsic obligations of Collar Seasons. 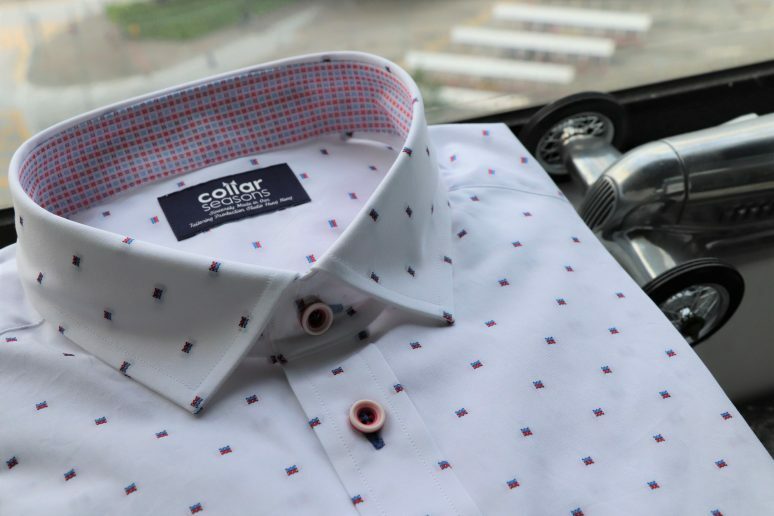 In addition to our everlasting popular collar style Semi-spread Classic (R-2) and Business Spread (R-3), we are pleased to introduce to you a brand new collection, from reformed business wide spread to the soft classic young collars (Y series). 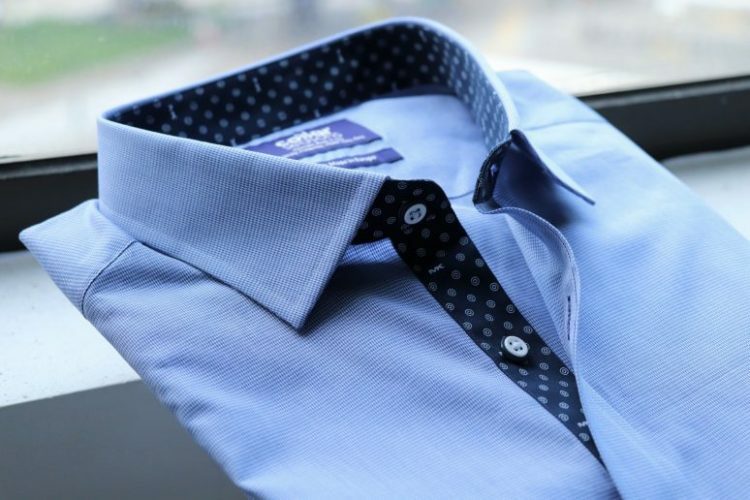 There must be one that fit your occasion needs and dressing essentials. Please visit our shop or browse here to see more.